Polished Fossilized Echinoid Sand Dollar Sea Urchin Shell from Madagascar. 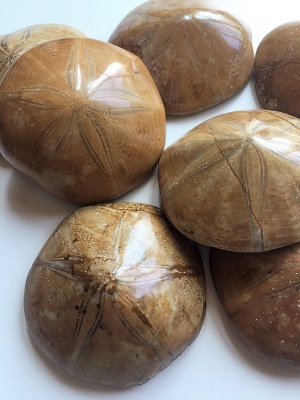 Echinoid Fossils are also known as Pansy Shells and Etoile de Mêr (meaning star of the sea). 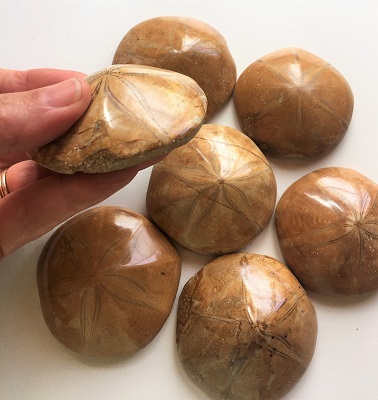 These polished “star” patterned fossils are said to increase life span, reduce toxins, anxiety and stress, balance the emotions, increase self-confidence, and create success in business. 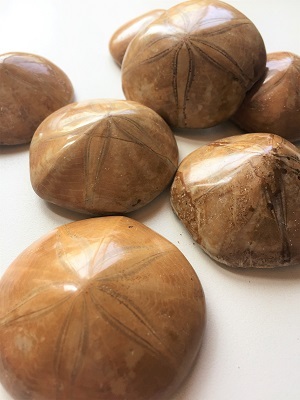 Echinoid Fossils help with manifesting accomplishments in business, communication and in the development of new ideas and strategies. 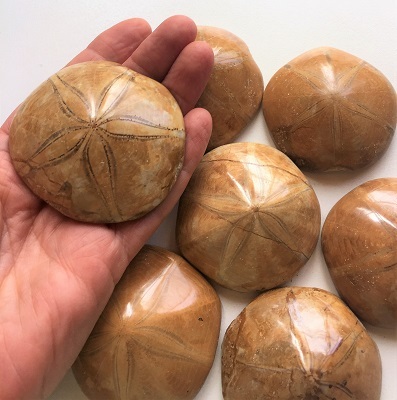 Echinoid fossils may enhance telepathy and stimulate the mind. Fossils represent time, eternity and evolution. Fossils are excellent healing tools to work through past life situations and for releasing whatever no longer serves your higher purpose. Fossils are used as power tools by shamans throughout the world to amplify energy. In healing, fossils may be helpful in assisting with curing diseases and aliments of the bones, skeletal system, hands and feet.